Developing a healthy, creative and collaborative organisational culture. Transition Network is helping to bring about positive change in the world. We know that this work doesn’t just happen “out there”, but is rooted in and supported by everything we do to care for ourselves, for each other and for our organisation. We believe that how we go about things is just as important as what we do, so we pay lots of attention to our internal structures, processes and relationships. For an organisation whose purpose is to catalyse and support a grassroots movement, it’s not always straightforward to define who is part of our team. One of our key relationships is with the evolving network of Transition Hubs that support and catalyse Transition in various countries across the world. It’s fantastic to experience the deeper connections and new possibilities that arise as Transition Network and the International Hubs Group together develop collective governance arrangements and try out innovative ways of sharing power and information. Making the shift towards a more a healthy, creative collaborative culture is challenging. All of us can find it difficult to fully open our hearts and minds to change and we bring with us many unhelpful assumptions, behaviours and practices from our previous working lives. When we experiment with new processes and seek to create levels of openness and trust rarely experienced in mainstream organisations, we’re often working at the edges of our personal comfort zones. We try to take this gently! One question that we live and work with constantly is how to respond in a healthy way to the tension between, on one side, the huge urgency of our work and the scale of the change so desperately required and, on the other side, the need to take time to develop strong relationships and a healthy, reflective culture rather than relentlessly drive ourselves and others to act. Inner Transition practices and thinking really support us with this. Difficult as it can be, we find this stuff deeply rewarding. We’re discovering that we can bring our ‘whole selves’ to work and benefit from hugely nourishing connections within and beyond our immediate team. We achieve things through creative collaboration that we would never have imagined individually, we think we’re becoming more responsive as an organisation and we definitely getting more skilled at identifying and addressing areas of potential conflict. We are increasingly linked to other groups, organisations and movements who are experimenting along similar lines and we feel privileged and excited to be part of what we believe is potentially a critical paradigm shift. Transition Network agreed these principles in 2014 – we’ve included a few recent examples to give you a sense of how we are applying them. The urgent need to reduce carbon dioxide emissions and greatly reduce our reliance on fossil fuels is at the forefront of everything we do. We consider the carbon impact when we plan and make decisions, we use public transport and minimise air travel, we use video/teleconferencing whenever possible, use a web-host with strong environmental policies and practices; undertake comprehensive recycling and composting in the office and source food and other supplies locally and ethically. Example: Conference organisers constantly invite us to send speakers huge distances to make short presentations. We help them explore alternative approaches – inviting local Transitioners to speak and online-streaming or videoing keynote addresses. The most disadvantaged and powerless people in our societies are likely to be worst affected by rising fuel and food prices, resource shortages and extreme weather events. We want to increase the chances of all groups in society to live well, healthily and with sustainable livelihoods. In planning our work, we seek to demonstrate an awareness of privilege and rank and the impact of race, gender, cultural difference and economic power. We are actively exploring ways to make our activities accessible and beneficial to disadvantaged groups. Example: We explore ways to offer affordable access to all our conferences and training courses including discounted rates, donations, bursaries, gifting of places and work trades. In responding to urgent, global challenges, individuals and groups can end up feeling stressed, closed or driven rather than open, connected and creative. Within Transition Network we create space for reflection, celebration and rest to balance the times when we’re busily getting things done. We are exploring different ways of working which engage our heads, hands and hearts and enable us to develop collaborative and trusting work relationships. We will share what we learn as we seek to model a healthy balance between being and doing. 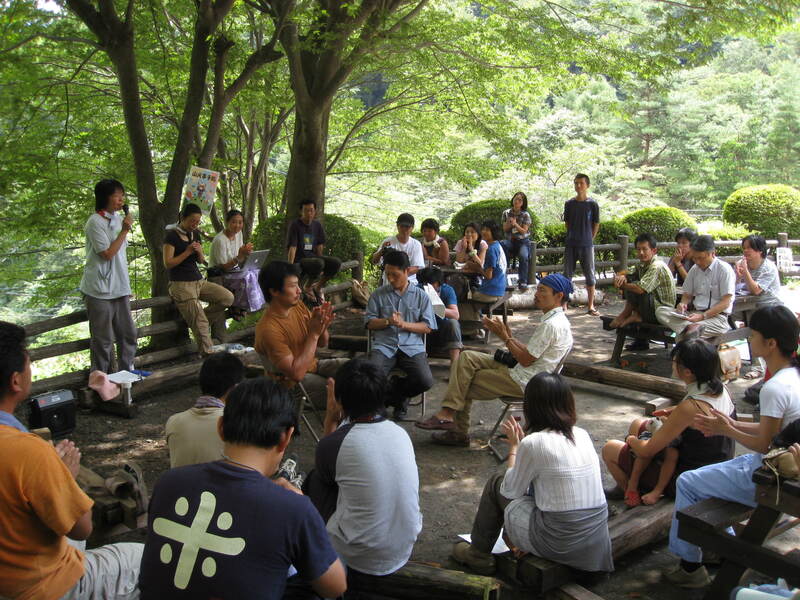 Example: We alternate our monthly staff meetings between Doing meetings where we make decisions, share information and plan our work and Being meetings where we explore how we’re doing as individuals and as an organisation, express our feelings, give ourselves some space to reflect, appreciate each other and pay attention to tensions. Transition is a real-life, real-time global social experiment. Being part of a network means we can create change more quickly and more effectively, drawing on each other’s experiences and insights. 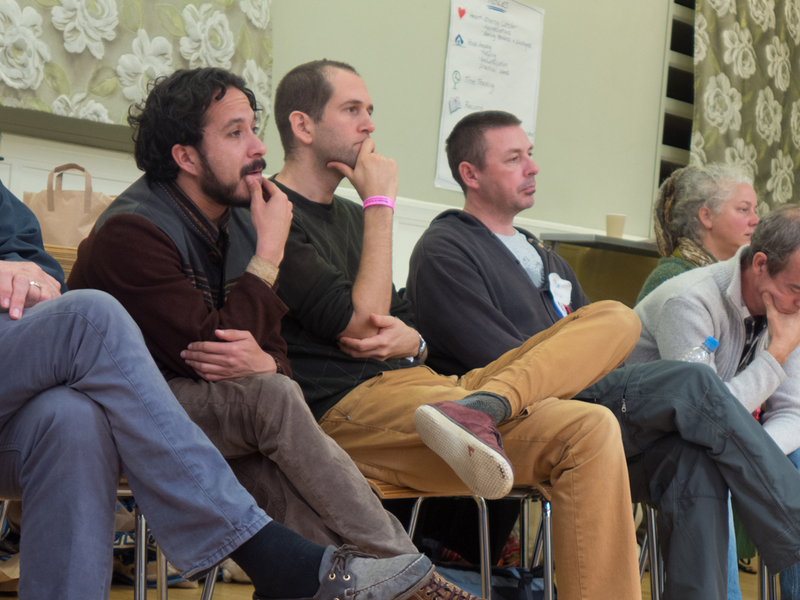 Transition Network is constantly looking for ways to support and encourage the sharing of learning across and beyond the Transition movement. We want to acknowledge and learn from failure as well as success – if we’re going to be bold and find new ways of living and working, we won’t always get it right first time. We will be open about our internal processes and will actively seek and respond positively to feedback. Transition is a grassroots movement, where ideas can be taken up rapidly, widely and effectively because each community takes ownership of the process themselves. Transition looks different in different places and we want to encourage rather than unhelpfully constrain that diversity. As capacity allows, we will devolve roles and responsibilities to national, regional and local levels. We will work to build capacity across the network and to remove barriers to the dissemination of Transition ideas. Example: A consultation with the Hubs Group prioritised support for the translation of Transition resources and information. We secured modest funding for this work and issued an open call for people with the right skills and experience. The small team we put together were based in Portugal and Italy. Working with others from across and beyond the Hubs Group, they identified needs and potential solutions always with a focus on how we can support the crowd-sourcing of translation skills, enable people to collaborate across distance and share the resulting materials freely. The Transition approach is to work together as a community, unleashing our collective genius to have a greater impact together than we can as individuals. 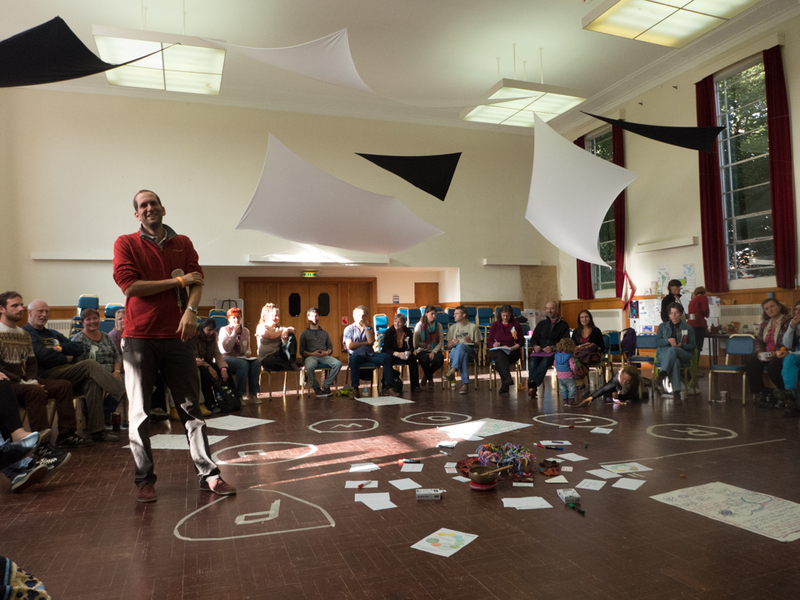 We are very conscious that Transition Network is just one of many organisations working to bring about positive change and will look for opportunities to build creative and powerful partnerships across and beyond the Transition movement. Within our own team, we will continue to develop a collaborative culture, finding links between projects, creating open decision-making processes and designing events and activities that help people make connections. Example: Transition Network is one of the founding members of ECOLISE a Europe-wide alliance of networks and organisations supporting community led action on sustainability. Our primary focus is not on being against things, but on developing and promoting positive possibilities. We believe in using creative ways to engage and involve people, encouraging them to imagine the future they want to inhabit. The generation of new stories is central to this visioning work, as is having fun and celebrating success. Example: The 21 Stories of Transition book and the way this collection of inspiring stories is now being translated and expanded upon by National Hubs and on this very website! Over recent years, the Transition Network team has undergone considerable structural and cultural change, shifting from a committed, slightly chaotic group of pioneers to a more substantial and structured organisation. We have done lots to build levels of trust and emotional intelligence across the team, to agree clear strategic priorities and to collaborate well to deliver key pieces of work. But our governance arrangements, group behaviours, structures and processes are still a slightly confused mixture of hierarchical/traditional, collective/consensual and entrepreneurial autonomy. Such a mixture might be appropriate but we would definitely benefit from a little more clarity! Supported by funding from the Tudor Trust, we plan to develop and implement more agile organisational structures and processes which support good collaboration, encourage healthy cycles of action and reflection and enable us to be more responsive to changing needs and opportunities without losing our strategic focus. We’re keen to explore further the potential of models such as sociocracy and holacracy and to learn from other organisations doing similar work, while developing a culture and approach specific to our needs and context. We decided to bring in some additional expertise and capacity to help us with this project, and issued a call for freelance support. We were overwhelmed by the number and quality of the people who came forward and have chosen to work with a team from Université-du-nous. A great researcher, Amy Burnett, has volunteered to help us develop and implement a monitoring and evaluation framework for this project which means we will have good quality evidence of what we’ve done, why we did it and what was the impact. We know many other groups across and beyond the Transition movement are struggling with very similar issues and are equally keen to find effective alternatives to old style ways of working. We’ll share what we learn on this website and invite you to do the same. On reflection: why the TN team took time out. Editorial: Sophy Banks on Balance or Burnout?